A great opportunity to live in sought after Lyons Landing (at an affordable price) with deeded waterfront access and just 10 minutes north of the 401. This well designed bungalow sits on a private 1.12 acre lot featuring 2+2 bedrooms, 2 full baths and fully finished walkout basement. Spacious living room w/vaulted ceilings, gas fireplace and bright windows and patio door to rear deck. Dining room adjacent the kitchen w/centre island plus access to double garage and main floor laundry. Large den w/closet (could be 3rd bedroom), 4-piece main bathroom and 2 spacious bedrooms up including master with walk-in closet and 4-piece ensuite w/separate soaker tub and shower. Fully finished walkout basement featuring large rec room w/gas stove, 2 good sized bedrooms and lots of storage. Private and fenced rear yard with in-ground swimming pool and more! This home offers incredible potential, in a neighbourhood with an average 2018 sale price into the $600’s. 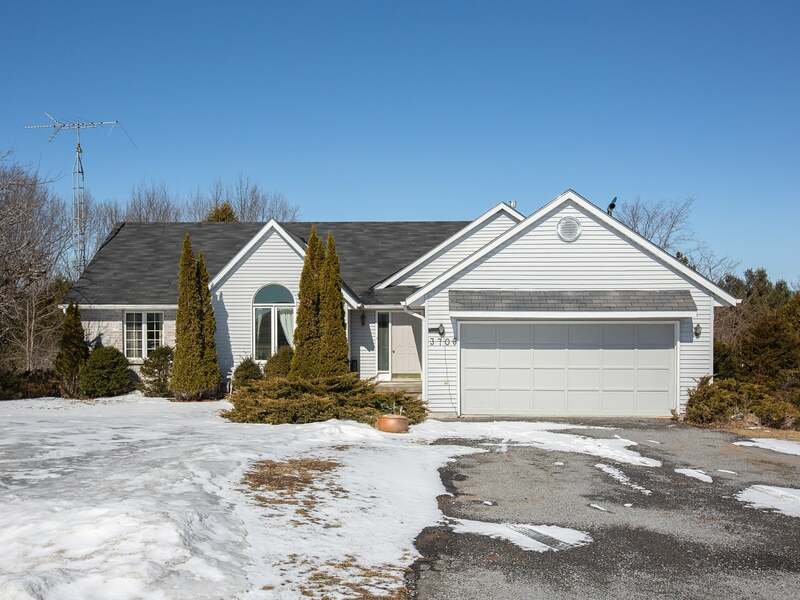 Please send me more information on 3706 Maple Crest Crt, Ontario. Thank you.